Affirmation: I live up to my highest standards with love and joy. That’s my sister Amber, myself and my best friend Bea (right-to-left) on the Grand Canyon Skywalk, which is on the west rim. It was a long time dream of my mine to walk the Skywalk and so this image is me living up to my “highest” standards with love and joy. We are on a glass bridge 4000 feet above the canyon after all! What you might not be able to see from my calm demeanor and giant smile in this photo is I’m totally freaking out, but it was all worth it. Today’s affirmation revolves around living up to your own high standards through love and joy. That means you don’t beat up on yourself when you’re not meeting your own standards or someone else’s for that matter. Instead we fill our hearts with joy and unconditional love for ourselves. The more love and joy we shine upon ourselves, the more we are able to meet and often exceed our highest standards. I wrote today’s affirmation because for the past couple days I’ve had a shooting pain in my shin. According to Louise Hay’s book You Can Heal Your Life the emotional side of this pain comes from, “Breaking down ideals. Shin’s represent the standards of life.” I’ve been focusing on this affirmation since the pain arrived and it seems to be working because its finally starting to go away, so I thought I’d share. If you don’t already have You Can Heal Your Life I definitely recommend it. It’s one of those books you’ll keep. YOU CAN HEAL YOUR LIFE. Remember you create your life, therefore you can heal your life. What are your highest standards? Are you living them with love and joy? 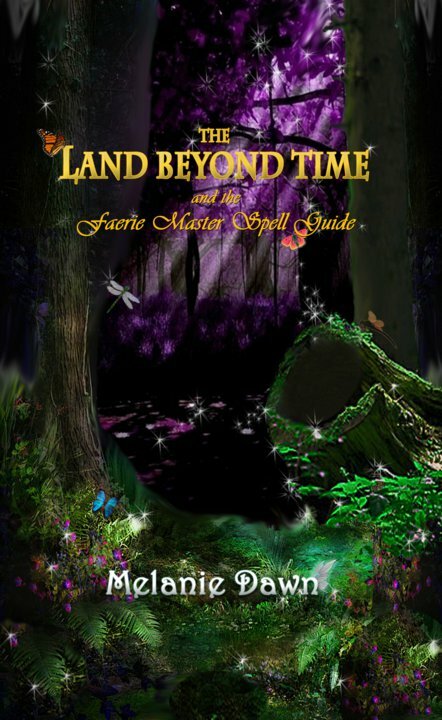 Get your copy of The Land Beyond Time and the Faerie Master Spell Guide by Melanie Dawn on Lulu, Amazon, Amazon Kindle and Barnes and Noble today!